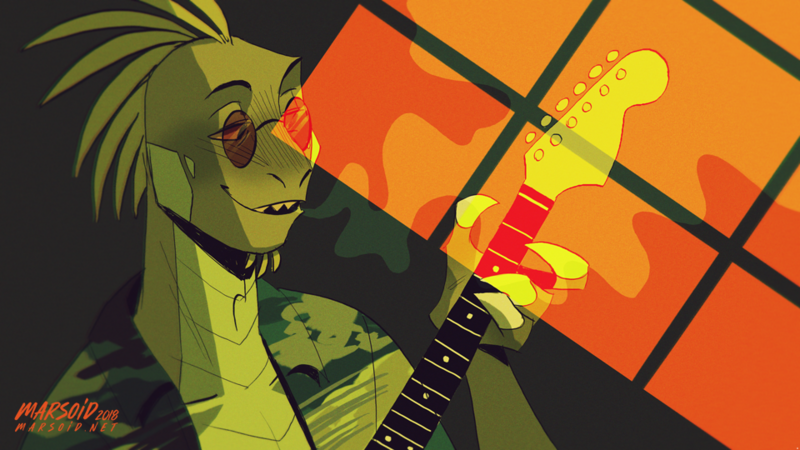 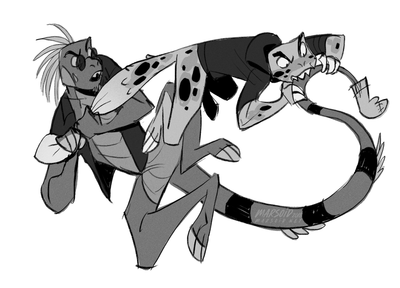 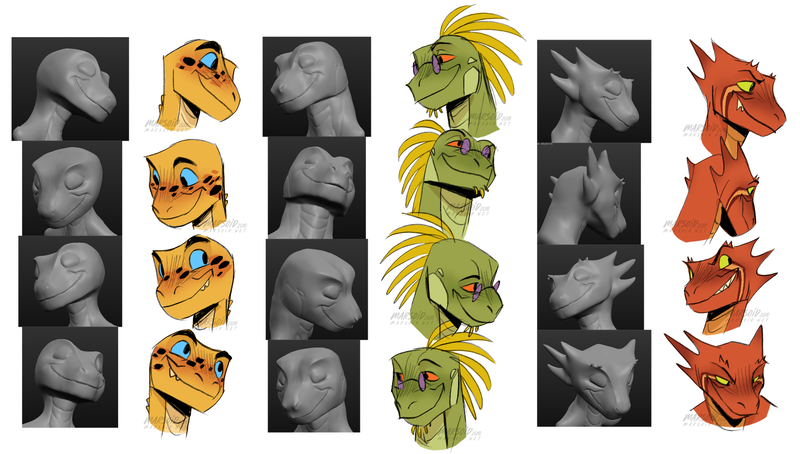 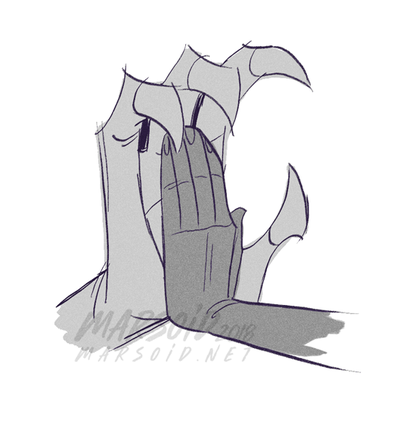 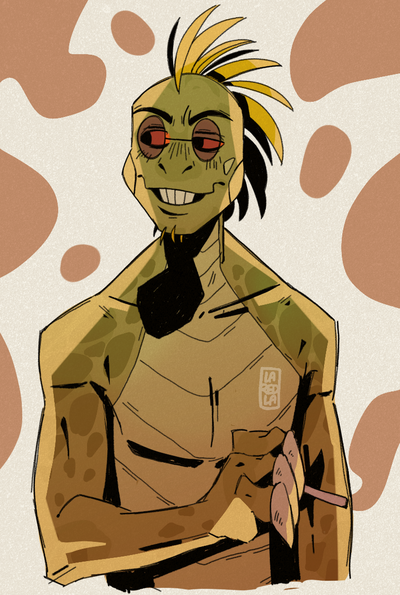 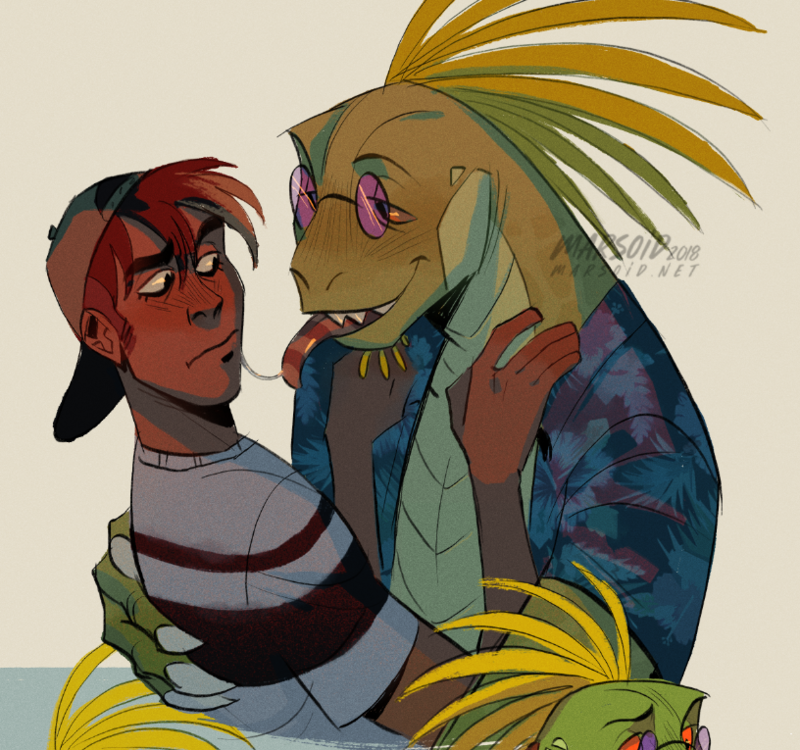 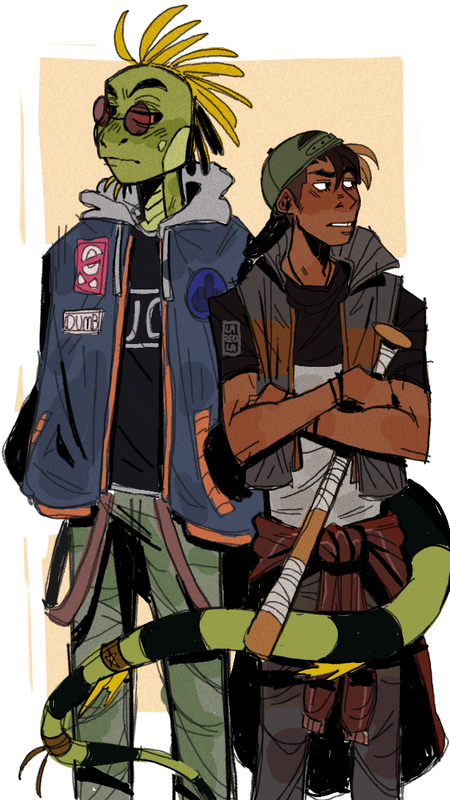 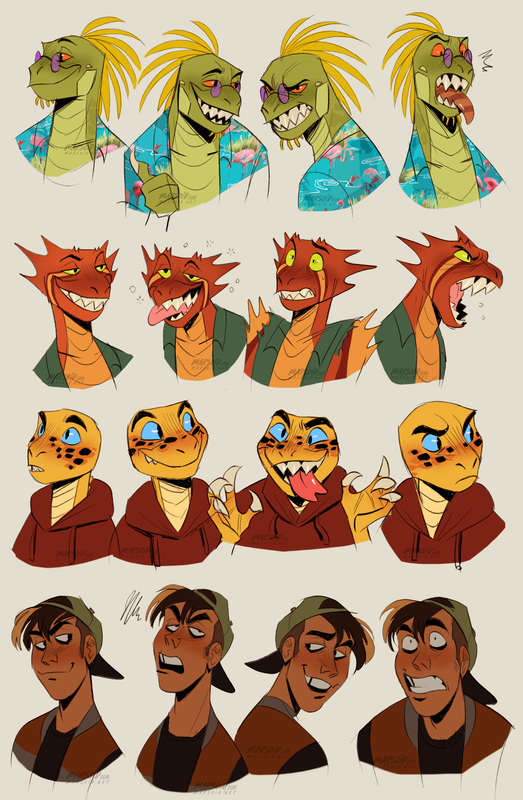 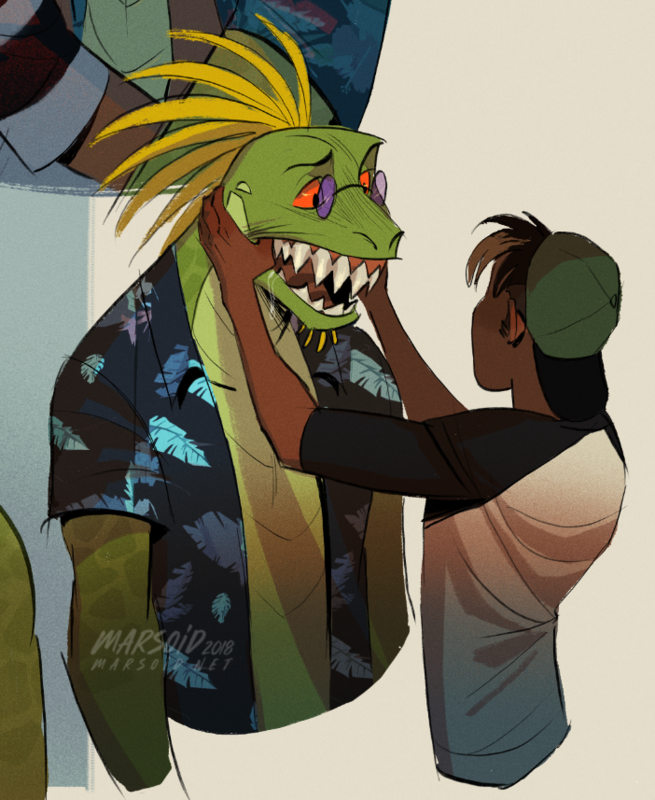 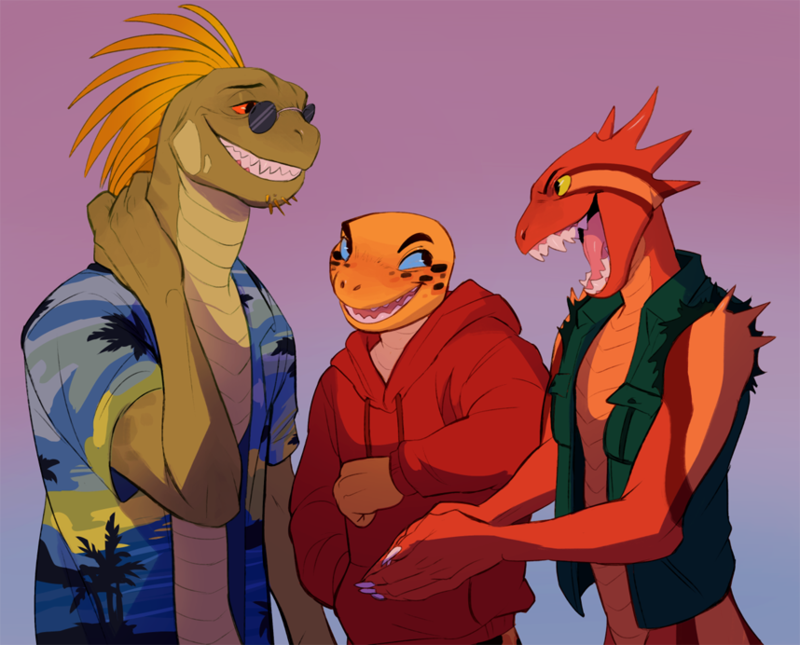 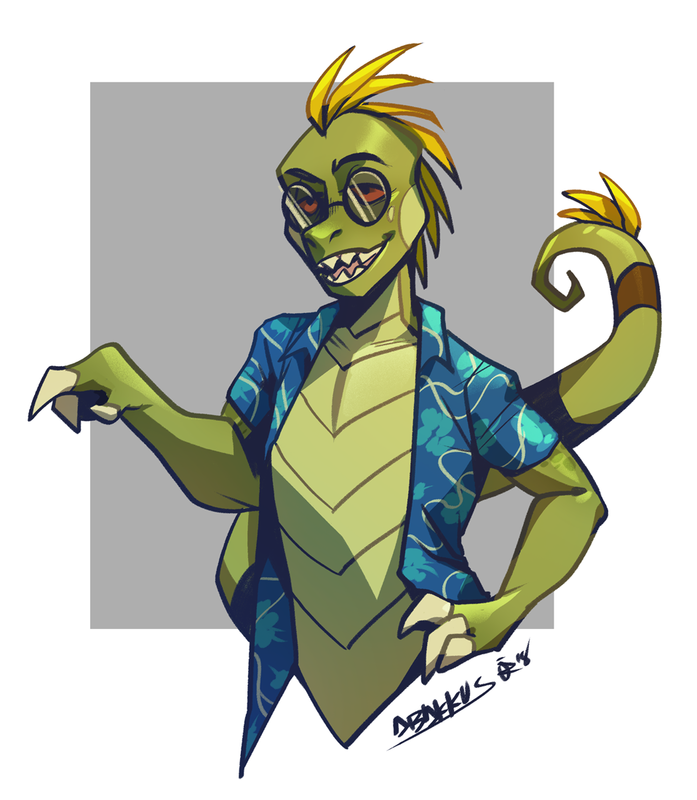 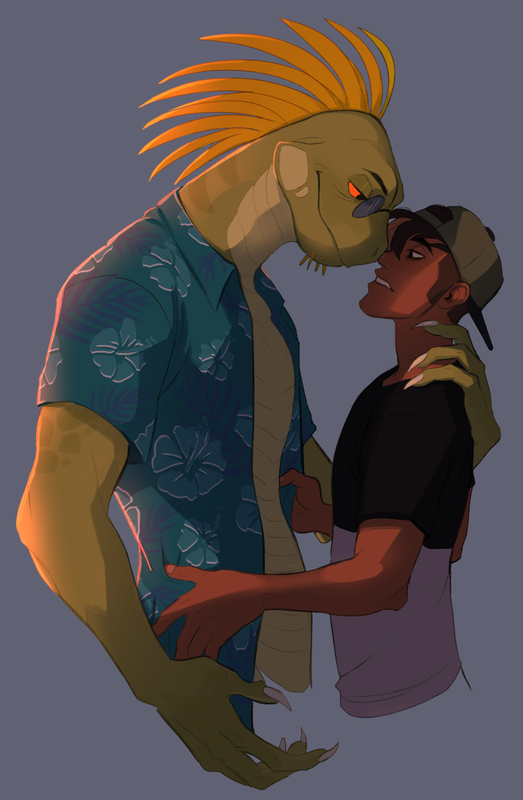 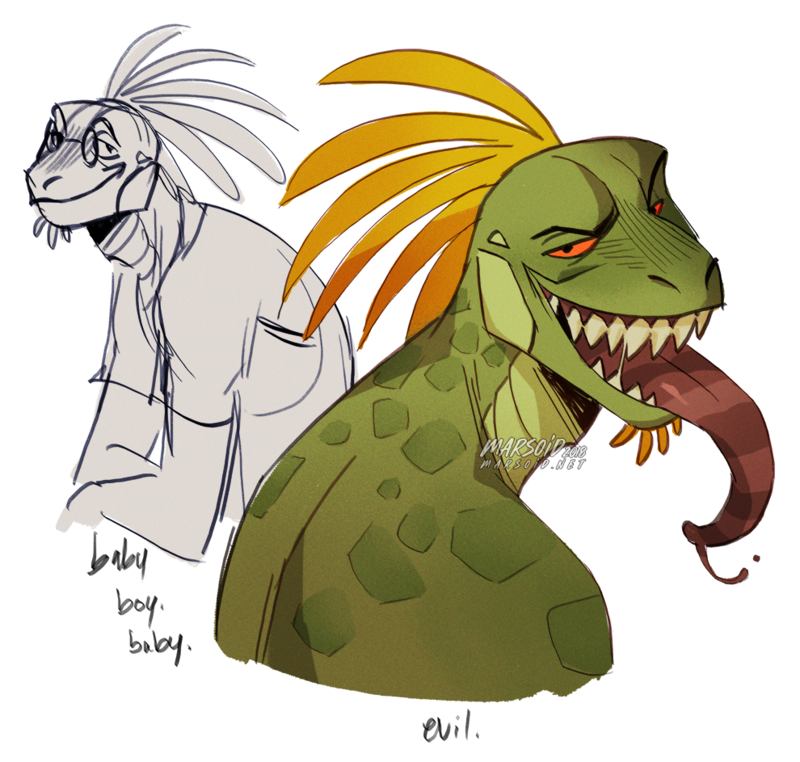 Iggy is some kinda humanoid iguana thing and doesn't actually know his and his siblings origins. He's the oldest of his siblings, and the most laid-back. 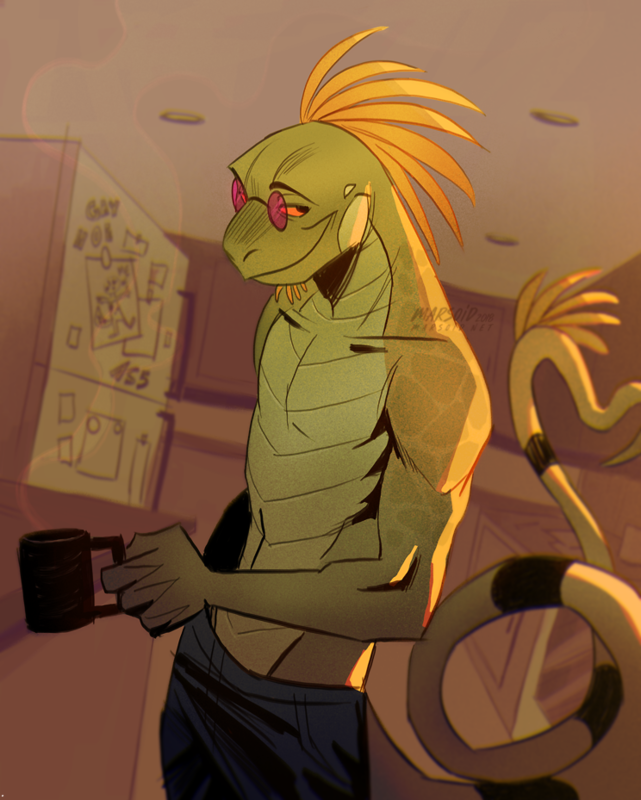 His favorite thing to do sleep all day and smoke pot. 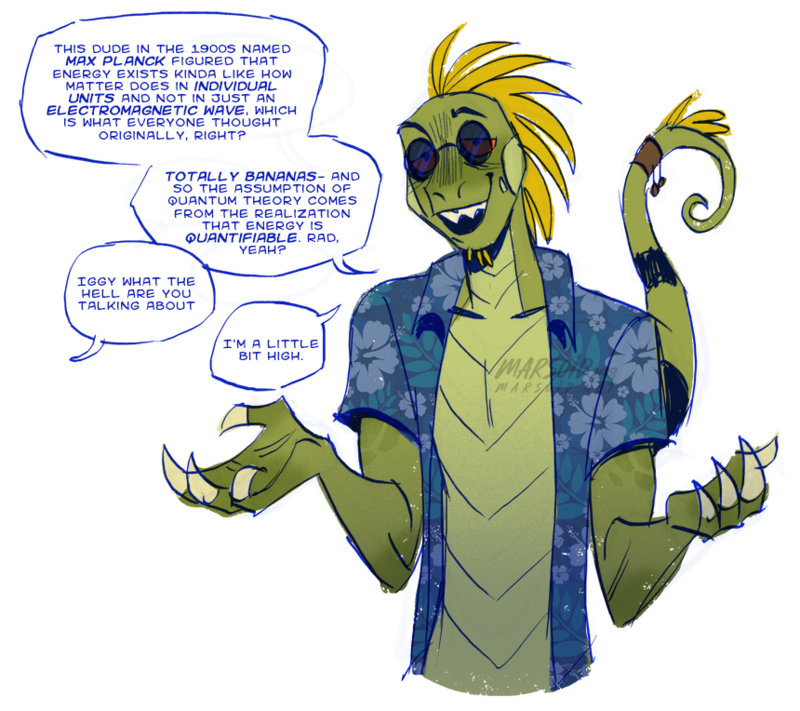 Despite his stoner lifestyle, he's actually surprisingly smart. 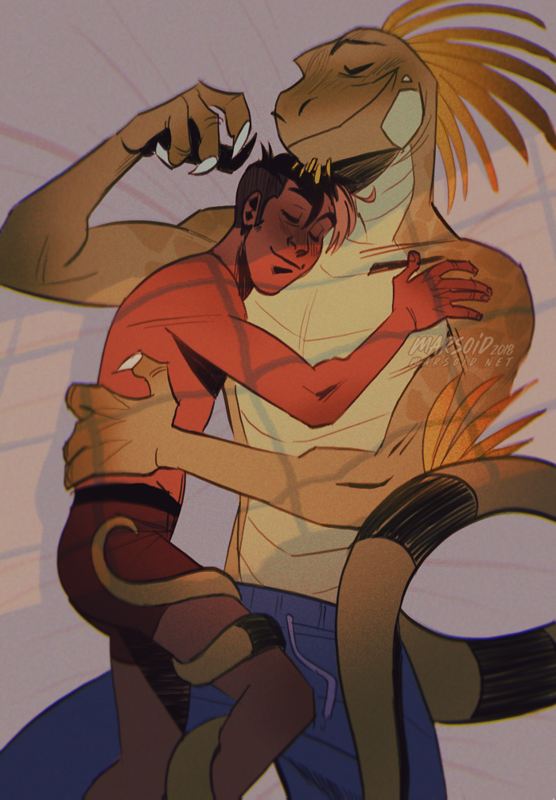 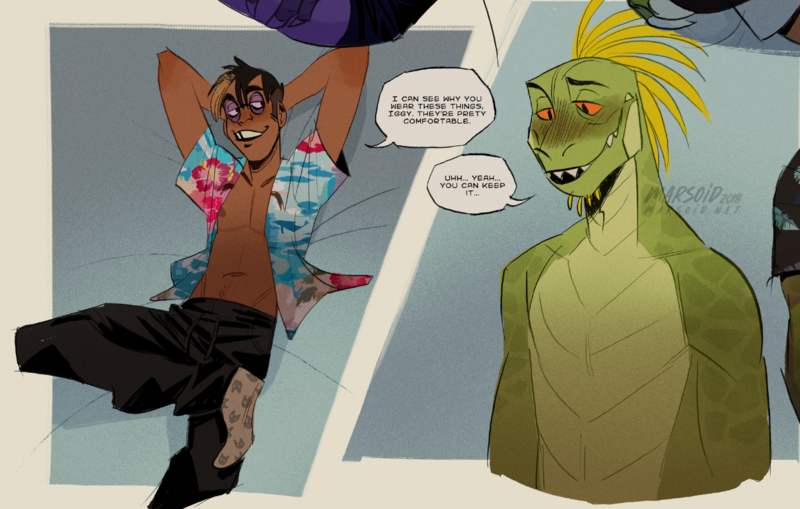 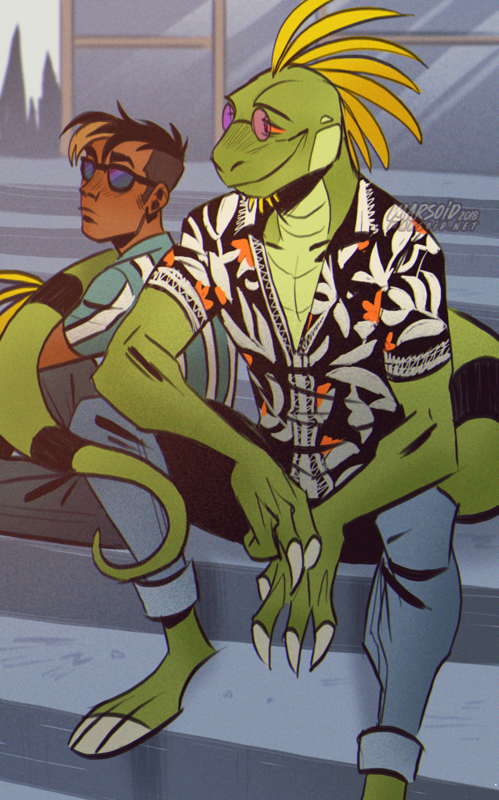 Iggy has a huge, debilitating crush on Curt and quickly goes from cool and calm to an awkward mess around him. In the ongoing plot, Gallagher, Iggy, and Hawthorne meet Curt and Tara and try to integrate into human society. 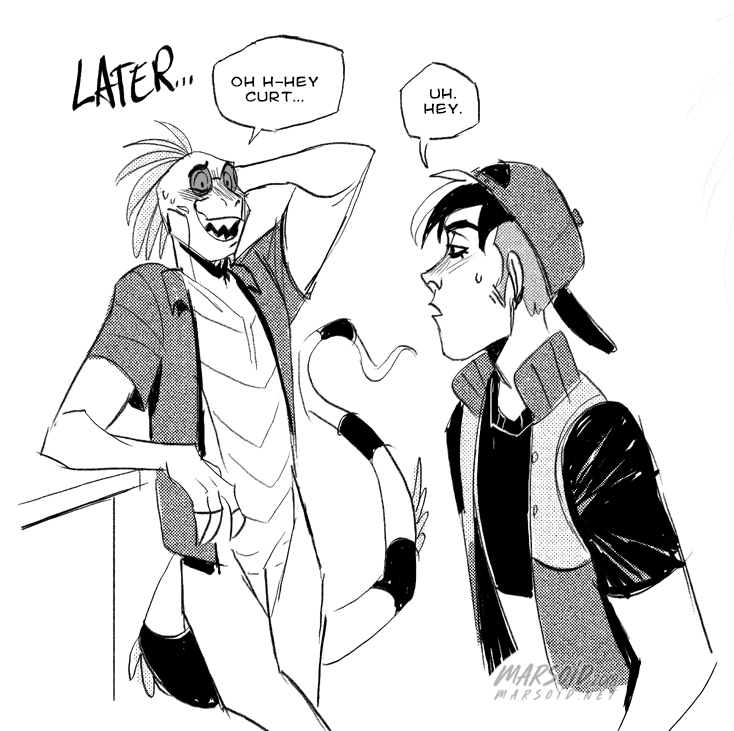 Curt and Iggy eventually develop mutual feelings for each other.